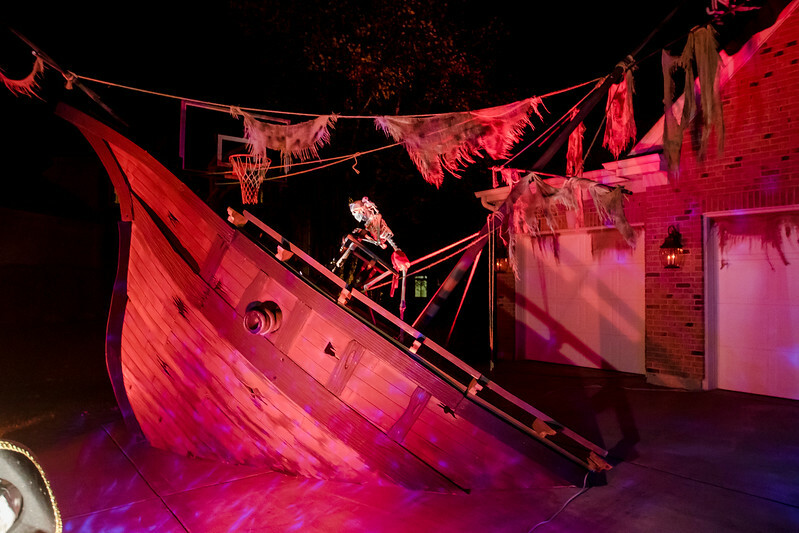 A view of the Adams family home in Lake in the Hills Thursday, Oct. 26, 2017. 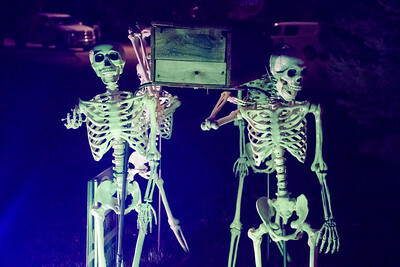 The Adams family has been doing a Halloween display for 10 years, growing it every year. 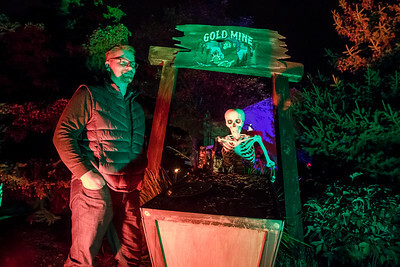 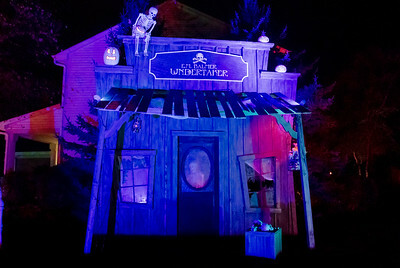 He have three themed areas this year, a cemetery, a haunted western mining town and a pirate area. 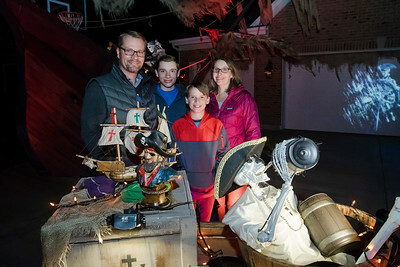 This year the family wanted to do more with the display so, in conjunction with it, they started a gofundme.com page to raise money for St. Jude's.